Hey guys I got me a new vehicle I'm so excited come down and see Aaron and Brian at johnny Roberts Chrysler jeep dodge I love it!!!! Estey Muy Contenta!!!! Tango Mi Caro!!! 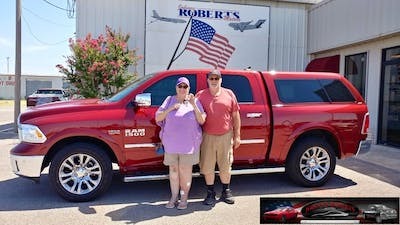 I purchased our dream Dodge Dakota at an Awesome deal! They were patient & kind. When I left I left with exactly what I wanted at an affordable price. 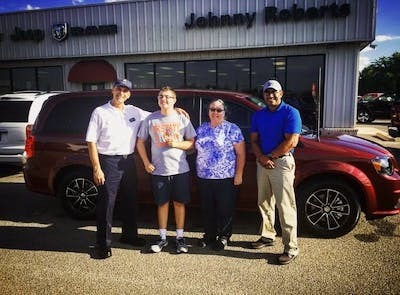 Not only was my dealer, Jeremy, a good listener in finding what my family needed and Jimmy knowledgeable and kind, but the rest of the staff was friendly. I can be a pain but their customer service prevailed. Jamie made the entire process easy breezy and the entire staff makes you feel like family! They offered the best trade value around and never once pressured any sale. Jamie went above and beyond to make sure I was 100 percent satisfied with the purchase. 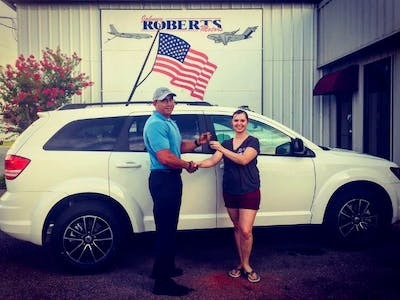 I highly recommend Johny Roberts! Couldn’t of had a better experience. The Owner definitely believes in taking care of customers and making the buying experience quick and easy! If I could give them 10 stars ? I Would!!!!! The whole team was awesome and very professional. Jamie was very personable. I love the new truck and appreciate the help getting me what I needed and wanted. If you go in tell them Dakota sent you! 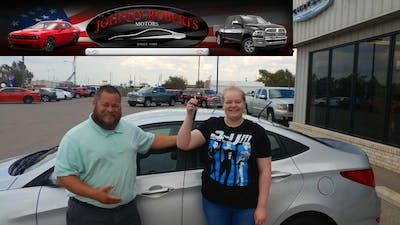 The respect, and the attention of the sales representatives and particularly Jeremy Kendall he made happen to walk out with a nice car, even when I had second thoughts on the deal, they were patient and let me be sure of my decision, an amazing sale crew at Johnny Roberts Dodge? As always best service anywhere! 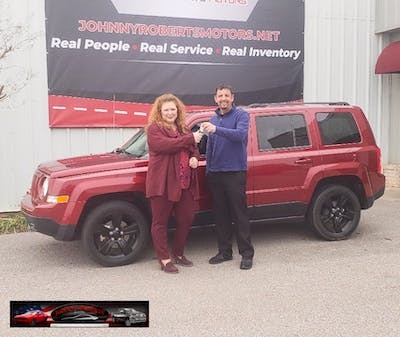 We had a great experience purchasing our Jeep! Jeremy was so much fun and we would definitely purchase another vehicle from him! Enjoyed working with all of the staff! This is the second vehicle I have bought in two years from Johnny Roberts Motors. The atmosphere and service are outstanding. Jamie Lara was an exceptional salesman. No pressure, listenef to me and was honest with me... that is a huge plus. Highly recommend and have to 2 people just today! The service department staff was was excellent. My truck was diagnosed and fixed in minimal time. Thanks especially to Grady for being straightforward. Highly recommend! The staff was very helpful and and funny Jamie was awesome.. 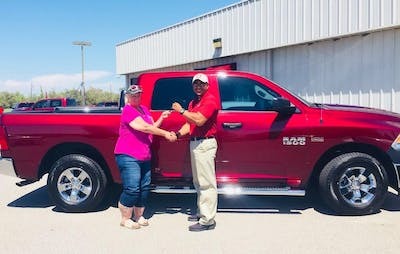 He did everything in his power to help us get into the car I wanted ..
Our 2015 Dodge Ram was in the service dept the last of July. Our experience was very good. Grady, the Service manager, was very kind and prompt diagnosing our problem and getting parts to fix it. He was always kind when we would call and ask about it. We would recommend them to anyone. 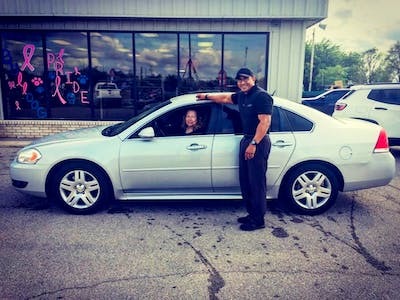 Jamie was an excellent sales representative from the first time he called me, to leaving the lot with my new vehicle. They are able to finance with you to get a payment that fits your needs. The service manager and the service department was upfront and honest. The work on my transmission was accomplished in a timely manner and at a reasonable price. I highly recommend! Ask for Grady. I'm sure you'll appreciate him. Jeremy was quick to help and got us into a car we thought we may not be able to afford!! Thank you Jeremy!! We will refer you to everyone possible! Everyone was friendly and helpful. I had my two young children in there for hours and they was very patient the whole time. I left the lot with the car I wanted. Stephen Sotuyo greeted us first and was very kind and helpful, Never pushy. as was all of the staff. Great service, fair prices. Awesome RAM! I went in to this dealership with my heart set on a car but not sure what to do. Everyone was helpful and very nice. Awesome car buying experience. I was able to get the vehicle I really wanted for a reasonable price. When I had a little issue with my insurance company, he was patient while I dealt with that issue. Everyone was friendly & seemed genuinely happy for me getting into the perfect car. 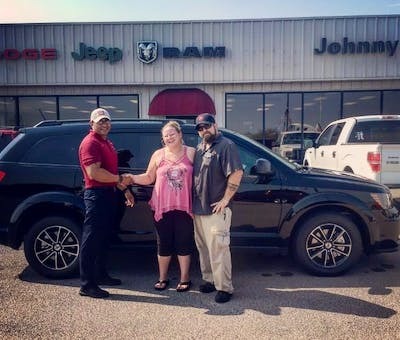 !Hey guys I got me a new vehicle I'm so excited come down and see Aaron and Brian at johnny Roberts Chrysler jeep dodge I love it!!! This maintenance department is probably the most customer friendly I have ever worked with. The staff are extremely helpful and willing to answer any questions or concerns you might have. We purchased our 2019 Jeep Cherokee today thanks to Jamie Lara. No money down and no trade in! 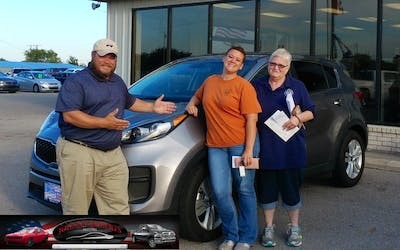 I never in my life thought I would drive off a lot with a brand new car but these guys made it happen. 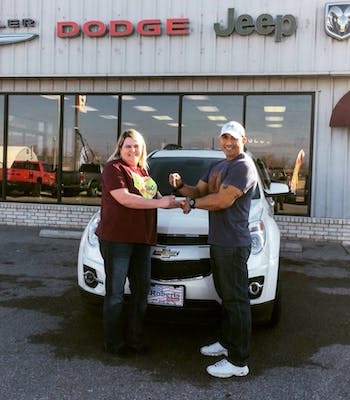 The service was quick, Jamie was super friendly and up front with the whole process. I look forward to working with these guys in the future! 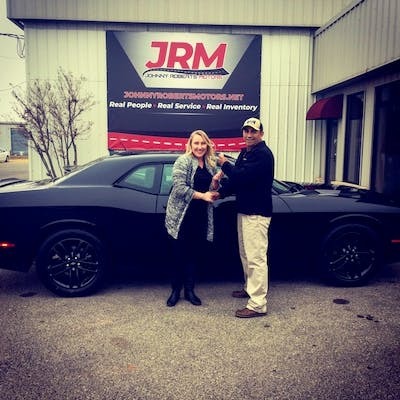 Have been to Johnny Roberts Motor many times for service and have never left unsatisfied. Great people. Grady is a real honest guy and “Chops” has been there since the 90s and knows exactly what he’s doing. Great family aroma throughout the place. The ladies at the front desk are very helpful and welcoming. This place definitely has it all! We bought the van for my wife so she is gonna review this event. I love, love, LOVE my van! This is my 3rd Grand Caravan since '92 and I really like the dependability. The three people we dealt with were Jamie, Jimmy and Bill. They were knowledgable about the product, the van. Jimmy put in a lot of effort and time to find exactly what I wanted and arranging financing while Jamie answered all my questions. Bill ensured all paperwork was done flawlessly. We bought the van for my wife so she is gonna review this event. I love, love, LOVE my van! This is my 3rd Grand Caravan since '92 and I really like the dependability. The three people we dealt with were Jamie, Jimmy and Bill. They were knowledgable about the product, the van. Jimmy put in a lot of effort and time to find exactly what I needed. We purchased our 2019 Jeep Cherokee today thanks to Jamie Lara. No money down and no trade in! 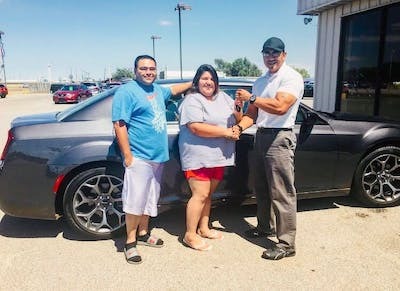 I never in my life thought I would drive off a lot with a brand new car but these guys made it happen. 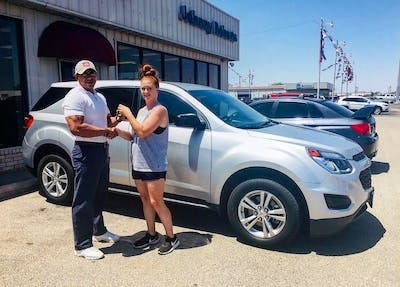 The service was quick, Jamie was super friendly and up front with the whole process. I look forward to working with these guys in the future. 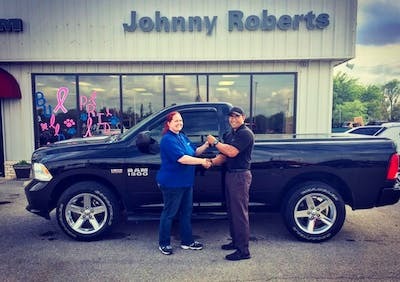 Have been to Johnny Roberts Motor many times for service and have never left unsatisfied. Great people. Grady is a real honest guy and “Chops” has been there since the 90s and knows exactly what he’s doing. Great family aroma throughout the place. The ladies at the front desk are very helpful and welcoming. We bought the van for my wife so she is gonna review this event. I love, love, LOVE my van! This is my 3rd Grand Caravan since '92 and I really like the dependability. The three people we dealt with were Jamie, Jimmy and Bill. They were knowledgable about the product, the van. Jimmy put in a lot of effort and time to find exactly what we wanted.